Very bright Aurora tonight. I could clearly see it from my location despite heavy light pollution Too bad I didn't take any photos. I didn't saw aurora this night, but it was seen in my city. Probably it was too dark, or light pollution at my location was too high. 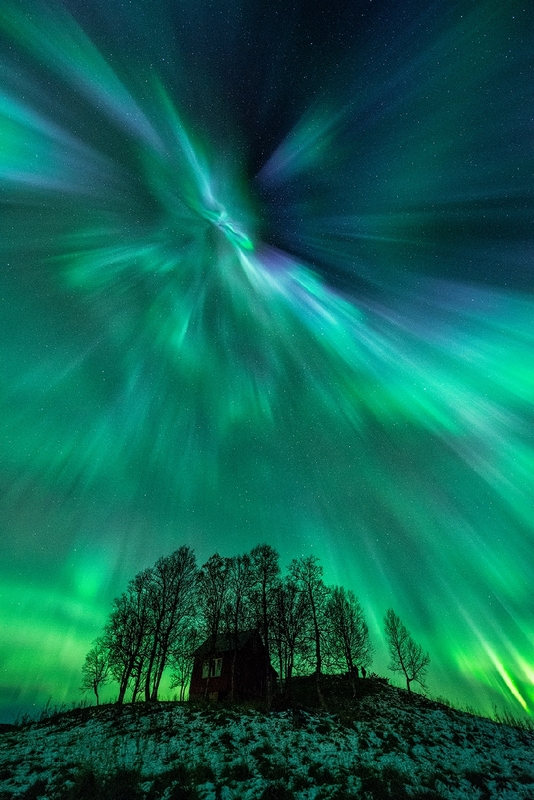 Likely the best aurora photograph I've ever seen. what kind of planet we are living in? No wonder why we had some decent aurora a couple of days ago even visible as far south as in the high 50's in Europe, which is rare. Intense aurora over Norway a couple of days ago.